In 1830, New Englanders and those in their western extensions on the frontier were politically isolated, and had been so since Thomas Jefferson’s presidential administration. David Hackett Fischer sums the situation up best in a chapter of his book Albion’s Seed titled “The Jeffersonian Coalition: Virginia, Pennsylvania and the Backcountry against New England.” This was a big step down for the North. During the War of Independence, New Englanders had won a great many overwhelming victories and freed themselves from British rule by 1777. Victory in New England led to victory elsewhere. Northerners had no real party of their own after the Federalists collapsed. One began to organize around those in politics who disliked Andrew Jackson, and became known as the Whig Party. If the party had an ideology, it could be described as “cuckservative.” Only four US presidents were Whigs, and of those four, only two were elected in their own right. The other two were vice presidents who succeeded to the presidency after their respective presidents died.
. . . as tensions built over the extension of slavery to Missouri, Kansas, and other new states and territories. 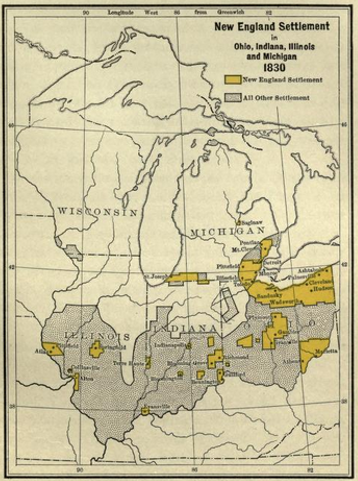 Midland opinion began to splinter along doctrinal lines. Religious groups whose beliefs emphasized the need to redeem the world through good works, moral reforms, or utopian experiments found common ground with the Yankees, first on slavery, and later on efforts to curb alcoholism, blasphemous speech, and antisocial behaviors; this led Dutch Calvinists, German Sectarians, Swedish Lutherans, Northern Methodists, Free Will Baptists, and General Synod German Lutherans to embrace the Republican Party. 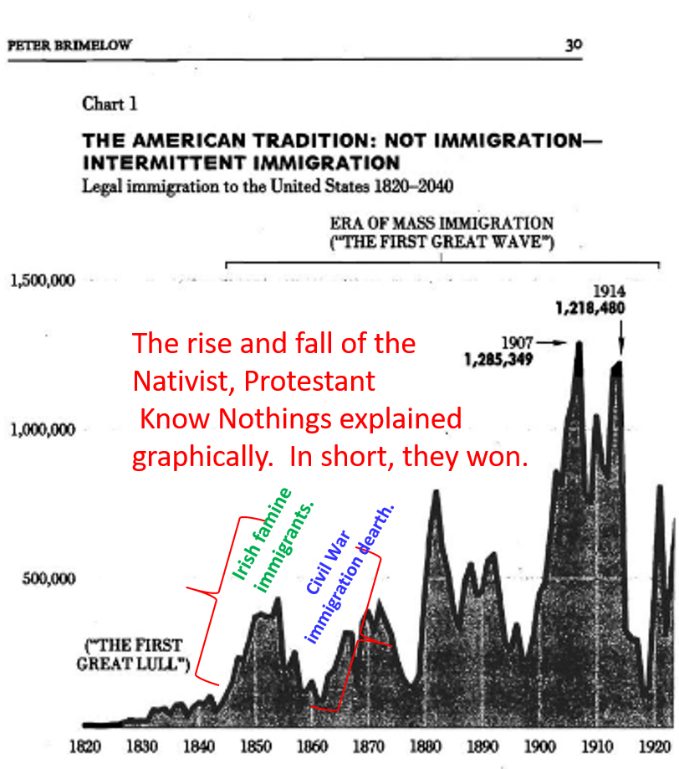 Americans first discovered the trouble with immigration in the 1830s. One of the first men to sound the alarm was none other than the inventor Samuel Morse, of telegraph fame. Writing under the pen name Brutus, he published the book Foreign Conspiracy against the Liberties of the United States in 1835. The book held that the Roman Catholic Church was fundamentally opposed to Americans and their concept of liberty. An 1841 reprint of this book is here. Published: February 15, 2019 | This entry was posted in North American New Right and tagged American demographics, Anglo-American culture, anti-immigration activism, articles, Free Soil party, Morris V. de Camp, nativism, New England, North American New Right, originals. Both comments and trackbacks are currently closed. Great, informative article. I was slightly aware of a settlement pattern as New Englanders moved west. I guess there could still be a highly animated discussion on who should be able to vote in this day and age. When I go to the polls, I see Third Worlders who can speak hardly a word of English entering the voting booth. I am not saying they are voting illegally, but they have been told to pull that Democratic lever without any idea of policies “except the give me thats”. That is the primary interest of today’s immigrant. If we didn’t have the freebies, they wouldn’t come (for the most part). As far as the Catholic Church’s view on the American “experiment” – I am wondering how much there is written on Modernism. I may be wrong, but when the Popes were screaming about Modernism and Republican models of government, it was for two reasons – actually fears. After witnessing and experiencing the horrors of the French Revolution and the continued activity of anarchists especially in Italy, the Church cleaved to the age-old idea of monarchy as the ideal form of government. I believe this was first developed by the Byzantines. Although Roman Catholic monarchs still existed in Europe (Hapsburgs, Bourbons, Spain, Portugal, Naples, Poland (before 1798), one Stuart king in England – were any of them really great monarchs that could be truly seen as protectors of the Church? After both the fall of Constantinople and the Reformation I believe this model was given a severe kick in the pants. In the US, the Irish basically gave the finger to Rome (as did the Irish-American hierarchy) because they wanted to participate in the American system (for better or worse). 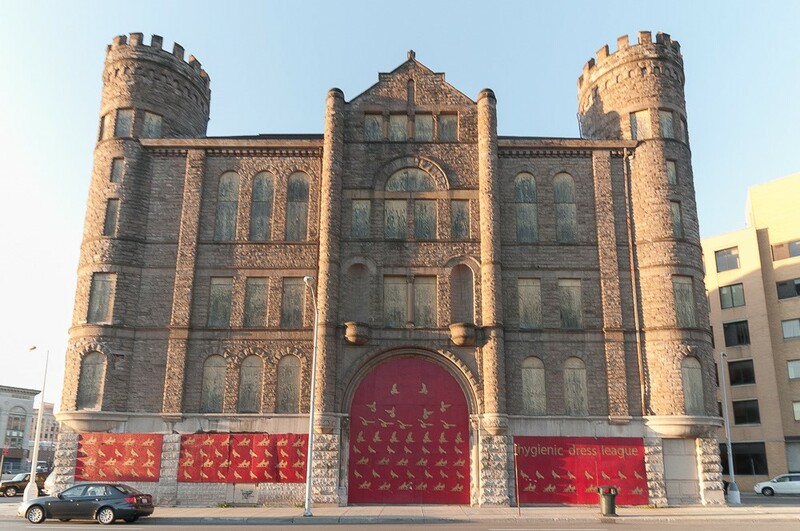 By the 1880s, even though the Vatican and the Pope were railing about Modernism and didn’t think any better of the American system of government, they kept their criticism in check because the US Catholic Church was becoming a power house and a huge cash cow. They knew how to follow the money. -The United States was founded as an English-Protestant nation, but it was not destined to stay that way. 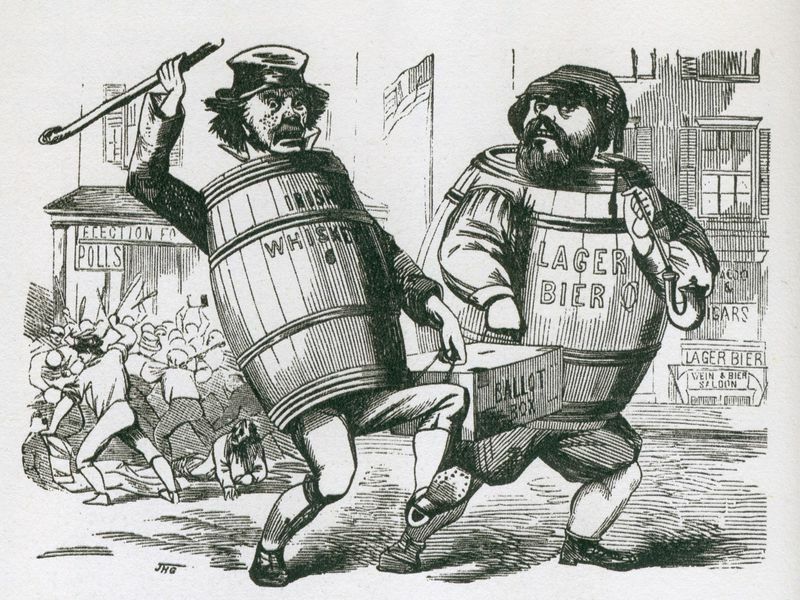 In the 1840s, a wave of German and Irish migrants came to America. Many of them converted to Protestantism and therefore kept the nation’s Protestant core, whereas the ethnic core ceased to be majority Anglo and became broadly Northwest European. Then, between 1880 and 1924, another wave of European migrants changed the ethnic core. This time, they were from Southeastern Europe, and the successful integration process had the effect of changing America from a NW European-Protestant population to a European-Christian population. This lasted for 40 years until 1965 when, under heavy pressure, funding, and lobbying from Jewish organizations, the Hart-Cellar Act was passed, which is now replacing the White/European population with a tidal wave of hostile non-whites. The above Narrative is of course a dry, historical one, but I’m using it to make a point: There’s absolutely no justification whatsoever for anyone who wishes to protect the White Race to hem and haw over Northwest Europeans vs. Southeast Europeans, or English vs. Irish, or Protestant vs. Catholic. None of that is relevant right now. It’s in the past. Or at least it is here in America. None of those groups are at each others throats here. If one wishes to identify with Northwest Europeans over Southeast Europeans, or English over Irish, or Protestant over Catholic, that’s their choice, but then they have an obligation to the rest of us: Don’t identify yourself as a defender of the White Race. The fact is, Southeast Europeans are just as biologically White as Northwest Europeans. It’s fair and accurate to say that SE Europeans aren’t as creative or industrious, and that they are more prone to tribal violence. But sorry, that doesn’t make them less biologically White. The evidence is scanty that SE Europeans were ever considered non-white, but insofar as people in the past used to believe that, they were wrong for doing so. Furthermore, almost all of us who were born as White Americans have bloodlines from at least two different European ethnic groups, and many of us have both NW European and SE European heritage. The Italians are in fact the fourth most common European ethnic group in America behind German, English, and Irish, and ahead of the French, Dutch, and Scandinavians. The Poles and Russians also have just as significant of a presence as the later three. On that basis alone, it’s ludicrous for someone who claims to care about the White Race to put a heavy focus on Northwest European identity when that is not relevant to the goals or the ideology of the pro-White Movement today. Egerton Ryerson’s work on Loyalists told me that from the beginning there were big differences in New England. For example, between the Plymouth Pilgrims of lore and the Boston Puritans. According to Ryerson, it was the Boston Puritans and no one else who wanted a break with the mother country, and their early power in American affairs allowed them to do this. It’s always good and, sometimes, eye opening to read of diversity within the American ethnicity. You know, according to them we’re just “whitebread” and think the same on everything. This is a terrific article and it’s about time someone on “the right” pointed out the concrete reasons why early Americans were hostile to Catholic immigration and the Roman Catholic church generally. Other than the non-Christian and neo-pagan types, everyone in the White movement for some odd reason demonizes Protestants and has this ridiculously ahistorical rosy view of the Vatican. Catholicism is imperial and has always been opposed to nationalism. It’s also always been ruled by a homosexual priest class – something the Reformers were very aware of and something many early Americans pointed out too, even though they often used vague and imprecise language because it was considered too scandalous. It’s also nice to see the plantation culture given a critical treatment. Many Yankees opposed slavery because they didn’t want the South to continue to Africanize North America. If the slavers weren’t stopped, America would be majority African today. I live in New England. Drive around many small towns and you’ll see rainbow flags flying from Protestant churches. Learned some things from reading this and I’m pretty well versed in history, but there is always more to be learned. Overall really good piece. Perhaps more importantly a more measured view of this particular strand of Albion’s seed should be welcome in a movement that hopes to include and represent all of White Americans. Thank you for this excellent, clear-eyed history. As you described, there were multiple, reasonable concerns about the growth of the “Slavocracy.” It wasn’t just “Negrophilia” on the part of Northerners. The concern for protecting a yeoman class was important, as you mentioned. And most northern soldiers fought in the Civil War for the patriotic reason of preserving the Union. There was a significant fear that the dissolution of the Union would result in anarchy and dictatorship. And many Northerners considered the slave system itself to be a threat to the American strains of liberty which had been developing since the Colonial period, and had roots in England, Greece and Rome. I’m of Yankee stock on one side of my family. I’m related to the famous Weld family of Boston, which still have (for now at least) two buildings at Harvard named after them, and one of my ancestors, Stephen Minot Weld (https://en.wikipedia.org/wiki/Stephen_Minot_Weld_Jr.) was a Union military officer in the Civil War. Nothing wrong with Yankee pride, if that’s your heritage. Well done article, Mr. De Camp. So not a white advocate, but a NorthWest European advocate? Gonna go out on a limb and guess that Morris would advocate that white Americans are “too different” and “need to partition on ethnic lines”, too (even going so far to say that NorthWest American Euros too must be segregated); that “there’s no white American people”. Re read the article. You missed some things. One should write also a history of those who pushed for immigration and their motives. The ethnic angle was addressed by Kevin MacDonald, and his scheme can be applied to other minorities, but how about Big Business and its need for cheap labor ? How that played out in the late 19th century-early 20th when US was growing economically very fast. US has always had this problem. It has never been a unified nation but instead it had a core Anglo-Saxon culture (created by the settlers, the so called ‘whites’, which meant those of Anglo-Saxon, German, Dutch, French and Scandinavian extraction) which were in control of the country politically and who tried hard to assimilate into this culture the newcomers. It tried to ‘Americanize’ them. It succeeded with some and failed with some others, and obviously it failed with the blacks, but it kept on trying hard until the 1960s upheaval when it was defeated and became ‘the dispossessed majority’. A majority ruled by a coalition of unassimilated minorities and other unintegrated marginals, ruled by an “anti-America” (as those guys from Vdare like to call it) united in their dislike of “America” ( that is, dislike of what was once the dominant culture and into which they could not, or did not want, to assimilate).